We’re increasingly seeing our shipping containers being used for labs or testing chambers, especially for colleges and universities. This bespoke container (10ft wide) was delivered to Kings College in London to be used as an air sampling lab. The lab is being used by a research team to learn more about the effects of air pollution and paint a full picture of atmospheric environmental concerns. They’re importantly involved in finding solutions for the Environmental Research Group – a leading provider of air quality information and research in the UK. This particular converted shipping container has holes in the roof and a unique glass chimney to release the air. Internally, a kitchen sink has been added for ease of use, and a platform has been attached to the top of the container. 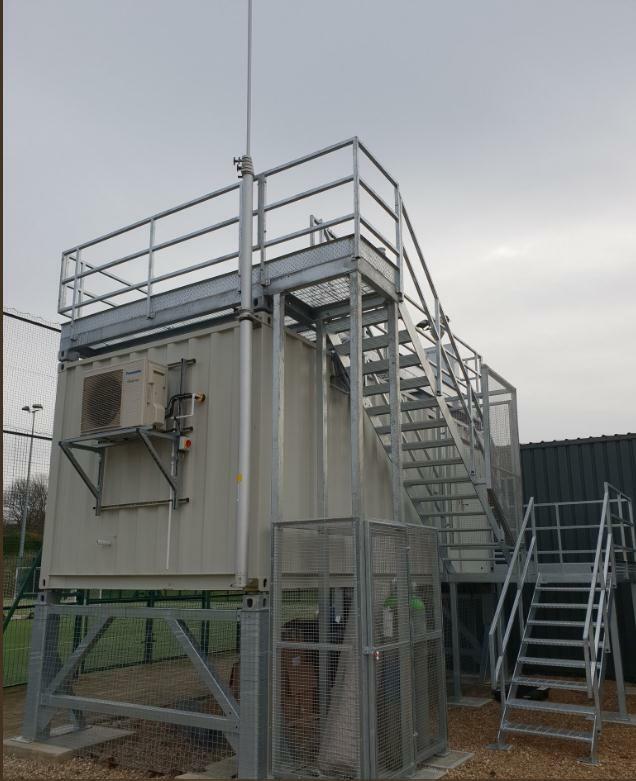 The steps mean that every part of this container is available for use, easily accessible and Kings College can utilise every bit of work space they’ve created with this addition. We are currently also working on a project to provide another converted shipping container, which will form a similar research lab, for Manchester University. For more information about container conversions, call us on 01922 741756.